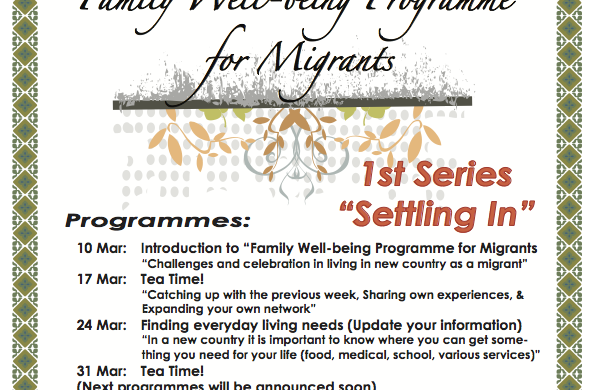 Our new "Family Well-being Programme for Migrants" is starting very soon. 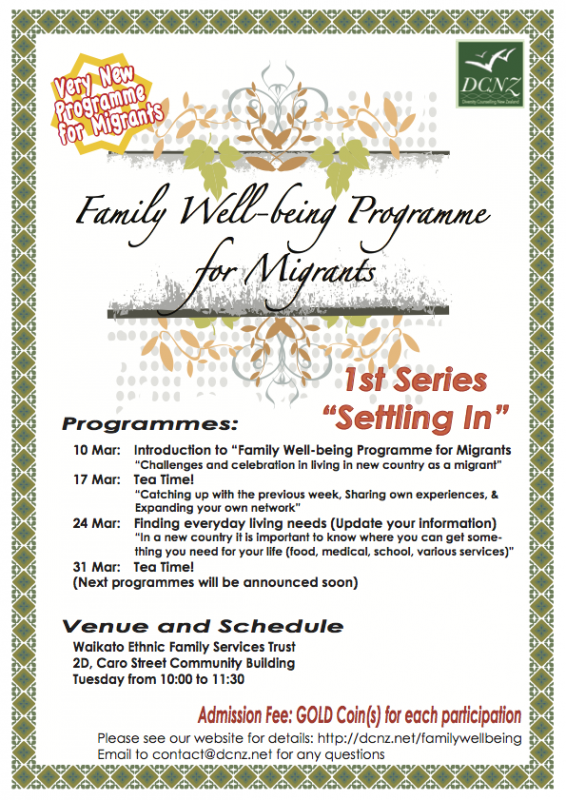 The programmes in March are now available. 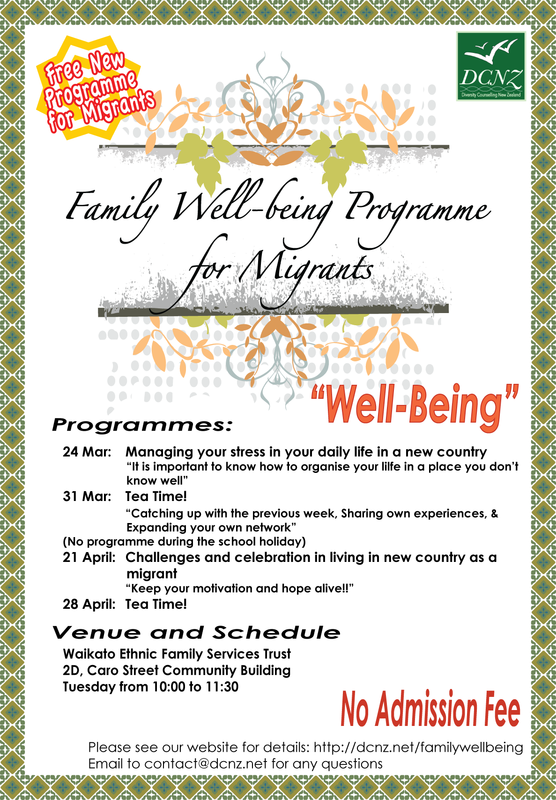 Please come and join.